Over the weekend of Saturday 11th and Sunday 12th November at King Arthur's School, Wincanton, there will be a Model Railway Exhibition. Opening 10am each day with a 5pm finish on Saturday and 4pm on Sunday. There will be plenty of layouts and stands on-site, spread across two halls for the enthusiast, occasional modeler or just for entertaining the kids for a few hours. 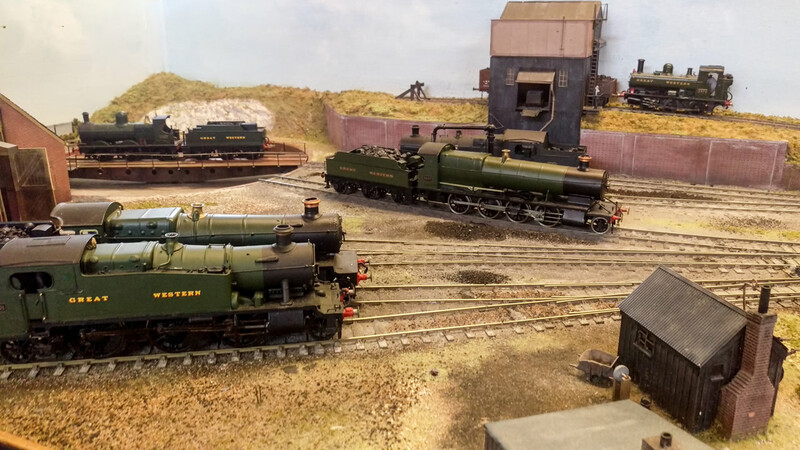 There are currently more than 20 layouts booked to attend, including all the popular gauges: N, OO, HO, O, and layouts modeled on real places, not just in the UK but from around the world including America, Switzerland and the trenches of France during World War 1. For these layouts, some use off-the-shelf items including track, buildings and rolling stock, whilst others have ‘scratch-built’ buildings and locomotives based on actual places, to exacting detail. Preservation organisations attending include the Ffestiniog & Welsh Highland Railway, Somerset & Dorset Railway Trust and the local 2ft gauge Gartell Light Railway based in Yenston. Six traders are supporting our event, so there’s no fear of not being able to find that item you’re looking for. From new and second hand rolling stock to all your electronic components, to model die-cast cars and vehicles to match your railway and limited edition wagons. Finally, we will have some live steam outside in the form of some 7.25” railway (TBC), so for a small charge people can travel by train. Admission: adults £5, concessions £4 and children (over 12) £2. All children MUST be accompanied by an adult. There will be two minutes silence both days at 11am. There will be catering facilities providing cakes, tea, coffee and snacks.